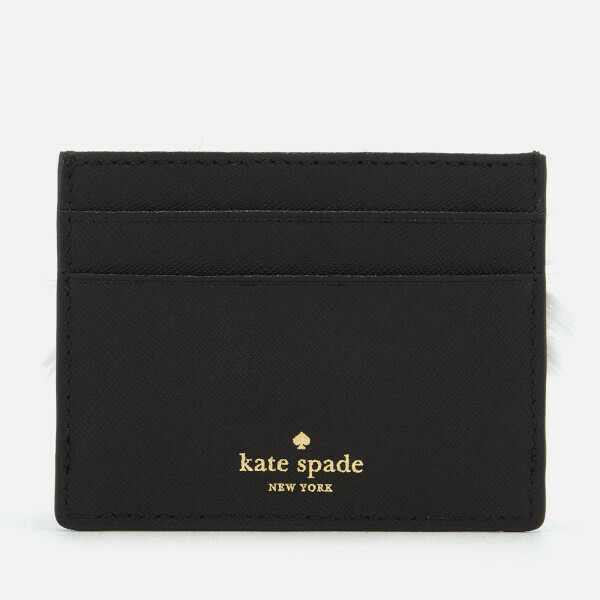 Black card holder from Kate Spade New York with a playful penguin design. 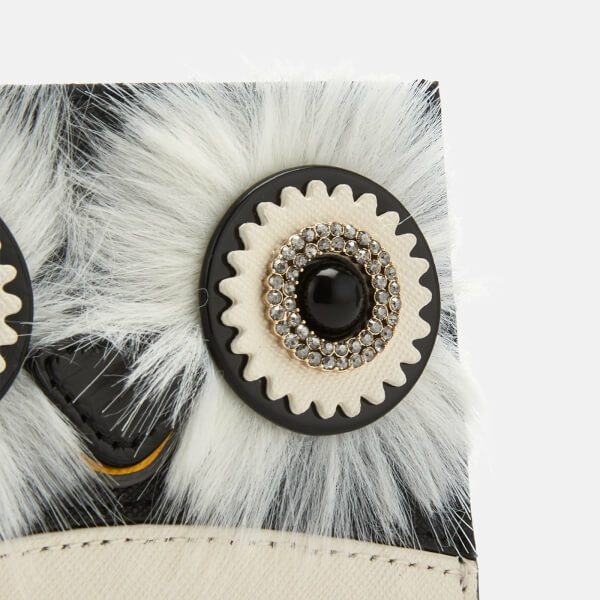 Crafted from crosshatch textured leather, the credit card case is designed with crystal embellished appliqué eyes, white faux fur and a white trim on the bottom. 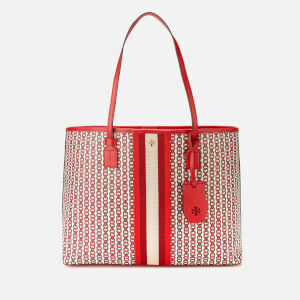 Detailed with two card slots and a central compartment with a spade jacquard lining. A gold-tone metallic Kate Spade logo on the reverse adds the finishing touch. Exterior: Cow Leather. Coating: Polyurethane. Faux Fur: Acrylic. Lining: Polyester/Recycled Polyester.